As I look over the dessert menu my friend puts hers down with a brave smile and tells the waitress she won’t be having a dessert,thank you. Moments earlier I had noticed her glance at the table next to ours where a couple were lovingly sharing warm chocolate fudge brownies. Just for a second, there was love in her eyes too and a little part of me wondered why it was that she couldn’t just enjoy a dessert once in a while without feeling guilty. Don’t get me wrong, I am truly an advocate of healthy eating and healthy living but I am also a great believer in the holistic approach; a healthy mind, body and soul. I believe it’s about balance and although healthy lifestyle choices are important perhaps just as important is making them enjoyable and achievable. Our apparent over enjoyment of high fat, high salt, high sugar, over processed foods has ultimately lead to increasing levels of obesity and heart disease in this country. This, in turn, has drawn an enormous amount of focus on our eating habits and we are bombarded with dietary advice telling us which foods we shouldn’t be eating and how much harm they are doing us in an attempt to help us to make healthier choices. We all know that we should check food labels for sugar, salt and fat content and that we really must try and squeeze in our ‘five-a –day’ even if it means counting a strawberry flavoured milkshake as one. In our attempts to get fit and stay fit we follow diets that ban all our favourite treats, but might this only serve to make them more desirable and thus increase our guilt even further? If our enjoyment of eating has been lost, is it only because our focus appears to be centered on the food that is making us unhealthy? 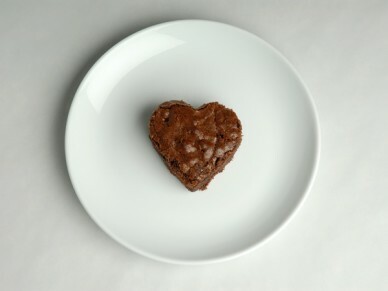 Eating has become a battle between nutritional advice and our love of ‘naughty’ food. So why has eating healthily become such a chore? Have we really forgotten how to enjoy good, healthy, nutritious food? Why have microwave meals, takeaways and snacks become part of our everyday lives? Convenience? Maybe, but is healthy eating solely about eating healthily? In a society where we are lucky enough to have such an abundance of good, nutritious natural and unprocessed foods available should it not be about the wider food experience? Researching new recipes, shopping for new ingredients, preparing home cooked meals, no matter how simple, and sitting down at the table with your family or friends to enjoy the fruits of your labour introduces a little celebration into everyday eating. You may find knowing that you have prepared and cooked a meal that is giving your body the vitamins and minerals it needs an inspiration in itself but the more you enjoy a balanced diet and the more it becomes a part of your everyday lifestyle the more benefits you will reap from it. Maybe then we can really start to enjoy food. Remember most of the foods that we label unhealthy are only actually doing us harm if we eat them to excess and, by focusing on a balanced diet everyday, if we occasionally fancy chocolate fudge brownies at a restaurant we should be able to eat them without the tinge of guilt. But, you may be too busy enjoying the fruit salad anyway. 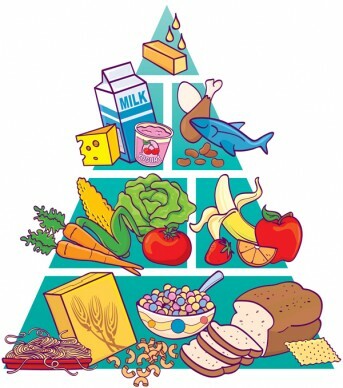 A balanced must contain the correct nutrients required for good health and in the appropriate portions. One apple or banana, 100g vegetables, 125ml fruit juice. Certain groups of individuals may require slightly different proportions to the above e.g pregnant/lactating women will have a higher energy requirement and would therefore benefit from increased carbohydrates in their diet. Carbohydrates are found in a wide variety of foods e.g bread, biscuits, pasta, fruit and vegetables and are primarily used by the body for energy. Proteins are found in meat, fish, milk, eggs, soya beans, vegetables, cereals, pulses and some milk products and are primarily used for growth and repair of body cells and tissues. Fats are found in milk, cheese, butter, eggs, meat, oily fish, margarines and vegetable oils and are used in many functions of the body including the provision of energy/heat, insulation and the transportation/storage of some important vitamins. 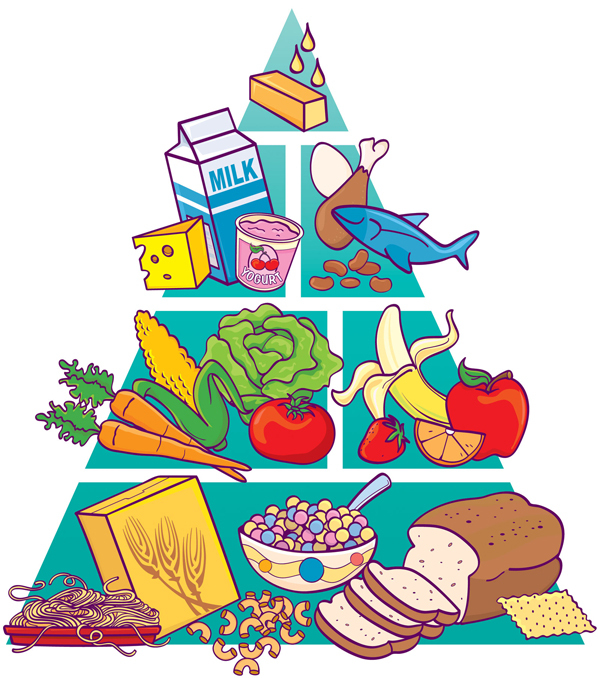 A healthy balanced diet also needs to ensure a good intake of important and essential vitamins and minerals. It should include fibre (to help with the digestion process) and plenty of water.